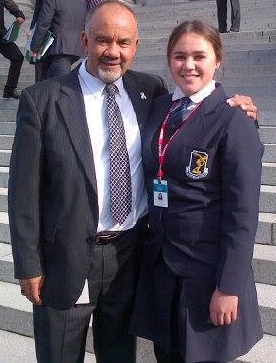 I think if we do indeed need any of these little self important poseurs representing us in the future, I would put the courageous Tauranga schoolgirl Kura Waller at the top of the list. More intelligence, more independence of thought and more courage than the rest of the brainwashed little twerps put together. I might disagree with some of her ideas but I can’t fault her spirit. Well done Kura, keep up the fight, and remember, never ever ever give in. Wonder where Grace Carrol is these days. Another heroine.